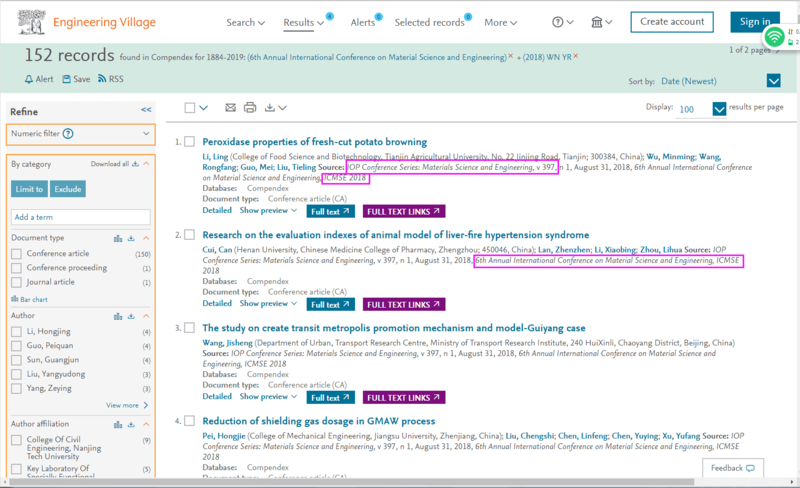 The 7th Annual International Conference on Material Science and Engineering (ICMSE2019) will be held in Wuhan, Hubei, China at April 19-20, 2019. It is one of the leading international conferences for presenting novel and fundamental advances in the fields of Material Science and Engineering. The idea of the conference is for the scientists, scholars, engineers and students from the Universities all around the world and the industry to present ongoing research activities, and hence to foster research relations between the Universities and the industry. This conference provides opportunities for the delegates to exchange new ideas and application experiences face to face, to establish business or research relations and to find global partners for future collaboration. All submissions must be original, unpublished, and not submitted concurrently for publication elsewhere. 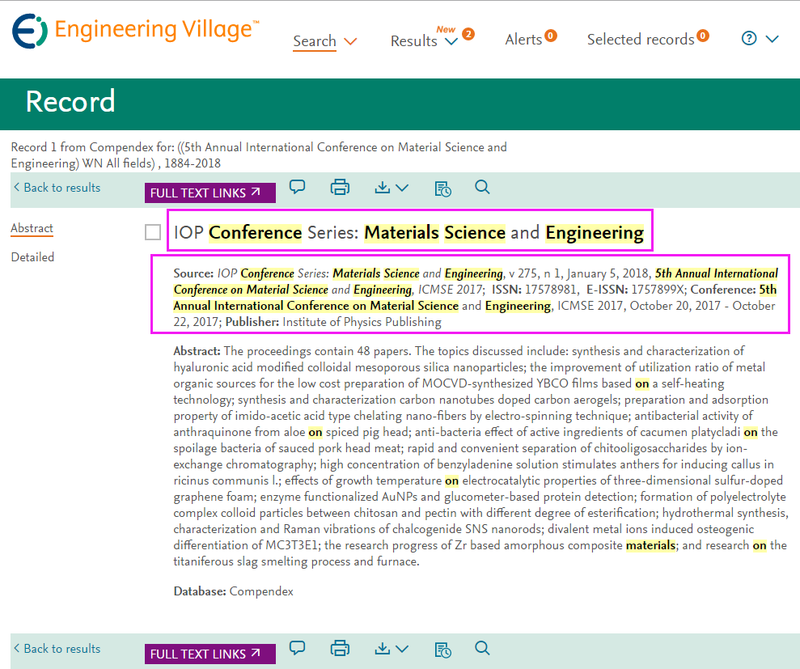 All accepted papers will be published by IOP Conference Series: Materials Science and Engineering https://conferenceseries.iop.org/content/home, and the conference proceedings will be submitted by IOP Conference Series: Materials Science and Engineering (MSE) for EI,ScopusandInspec and CPCI-S ISTP indexing. The retrieval situation of IOP is stable, you are free to log in EI database to check is newest retrieval situation. 1. All submissions must not be less than 4 pages. 2. Authors are invited to submit full, original, unpublished research papers that are not being considered for publication in any other forum. 3. Manuscripts should be submitted in Word/PDF format and formatted using the ICMSE 2019 camera-ready available at ICMSE2019 Template. 4. All submissions papers will be refereed for quality, originality, and relevance by the Program Committee.